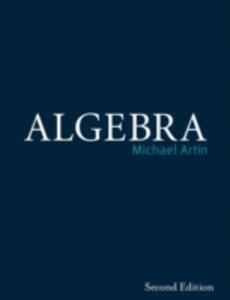 Algebra, Second Edition, by Michael Artin, provides comprehensive coverage at the level of an honors-undergraduate or introductory-graduate course. The second edition of this classic text incorporates twenty years of feedback plus the author's own teaching experience. This book discusses concrete topics of algebra in greater detail than others, preparing readers for the more abstract concepts; linear algebra is tightly integrated throughout.